It didn't even have an envelope, so goodness knows what I was hoping would come of it!! These are the 'tiles' that I originally produced to use as blocks to create a 3D effect. 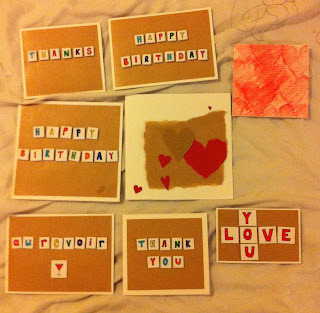 I decided to experiment and add letters to the tiles, and do you know what, I was so chuffed with this card!! 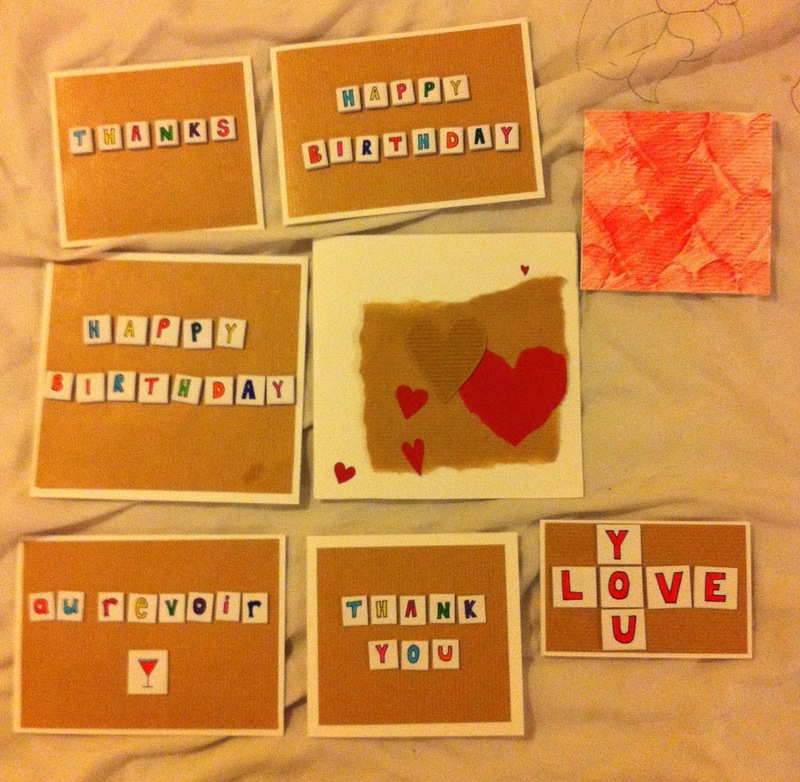 So chuffed in fact, that I decided to make some more. Apologies for the photo; at the time of taking it I didn't realise that a year later I would have my own business making cards!! You get the idea though! So that is how it all started! Luckily, I quickly developed the tiles so they were all the same size and straightened them out a bit!! Now, one year on, I am proud to have a growing collection of designs and some very happy customers! This year has been fantastic, and I am so lucky to be part of such a happy arty crafty community. So thank you to all of you that have helped me this year! Next Saturday 17 March is St Patrick's day, not only that but it also The Kingsland Festival, so what better way to celebrate and be part of it than bring two great markets together to join forces! 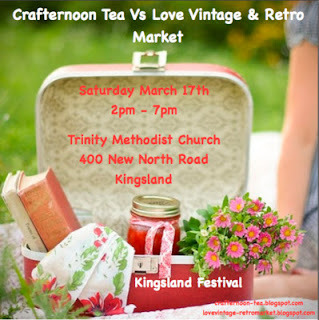 From 2-7 Crafternoon Tea AND Love Vintage & Retro will be teaming up to bring you a fantastic collection of arty crafty goodness from around Auckland. Be sure to come and check it out.